Don’t you just love it when there is a bit of a chill in the air? It’s the sign that those gorgeous snow-filled scenes are on their way. There is an excuse to cuddle up in the evening by the fire, with a cup of cocoa or something a little bit stronger. Even more important though, it is an excuse to nip out for those winter wardrobe essentials for you and for the kids. We’ve got a checklist for you to make sure you are getting everything you need for when the months turn that little bit colder. After our checklist, we have even more advice; how to dress kids for winter months using layers. The essential item in any winter wardrobe is the final outer layer that protects your little ones from the elements. Make sure it’s robust, and waterproof. If you love a good skiing holiday, like we do, you’ll need to make sure it is snow proof too. Be careful to check the altitude it is guaranteed to cover too, as you don’t want to have that holiday too high, and your kids freeze. Even if you don’t ski, a ski jacket is a great option for an all weather coat pretty much anywhere. We have always tried to get our kids wellies, but if you want to keep their toes toasty warm in winter, you will need to go an extra mile, and buy some snow boots. Make sure that they are sufficiently snow and water proof for the conditions you are likely to be experiencing wherever you are. You cannot beat a base layer to help keep your kids warm. They are thin, but keep body heat close to your children’s skin. They are an ideal for the bottom layer when you’re trying to layer up too. Ever heard of wicking; well base layers are also designed to stop your bottom later getting too moist too. We’ve used base layers from a variety of stores, but shop around to get a steal at the end of the season for the next. Base layers are often found in the bargain bins at two for one as spring approaches! An obvious choice for the next layer up from your trusty base layer, there are plenty of ways to dress for whatever occasion with a nice, warm jumper or sweatshirt. Go cool, or go functional! ✅ Hats, gloves or mittens – maybe a spare pair too! My favourite memory of my kids when they were little is when they were willing to wear ear muffs. Capture those memories when they are small, before they wouldn’t be seen dead in a pair in their teens! 🤣 If nothing else – including this item in my checklist means I can share the best ever Pinterest Ear Muff board with you. See. Now your day is complete, right? Why wouldn’t you want to get your kids a cute scarf? Ah yes, because you would rather get them a…. Yep. These are better, cooler scarf alternatives for the older kids. If you have littlies, you can get away with a scarf, but if you have tweens, I would recommend a snood. Much cooler. Apparently. Cosy socks are actually rather lovely for the kids anytime of year, as a bit of an alternative to slippers and to keep them warm in bed at night. Though do be careful that they don’t overheat of course, particularly if you are thinking about getting the right clothes in winter for your babies. Thinking about layering up your little ones, then a snow suit, up to toddler age, is an excellent way of keeping them warm in the winter. If you are going to ski – snowsuits instead of salopettes and a jacket are an excellent alternative too. Yet another item of clothing that little ones just look oh so cute in over winter…. Above are our ideas for the winter wardrobe essentials for you and you kids, but how about actually working out how to get this all on. How do you dress your kids for winter in layers? What is the best thing to do with them when the wind blows cold, and you can see your breath as you hurry out to school? The bottom later for your kids needs to be thin, but fitted where possible. When they are babies, a vest is a good plan, but as they get older, perhaps consider a base later, or a T-shirt depending on your budgets. This layer shouldn’t retain moisture, as you don’t want that staying close to the skin. The next layer is there to provide that little bit of extra insulation and retain the heat; use sweaters, jumpers or even fleeces for this. The best coats for kids are those that are easy to do up, particularly with cold fingers, but also not too bulky. If your kids are at nursery, or school, you don’t want them taking too much room up in the cloak area. There you have it – a quick and easy guide to dress kids for winter using layers. Now all we need to do is have a word so that no-one sends us too much snow and we get stuck somewhere! Winter scavenger hunt, once you ARE all dressed up – why not try this? Once you are back from your travels; why not dress our winter characters? 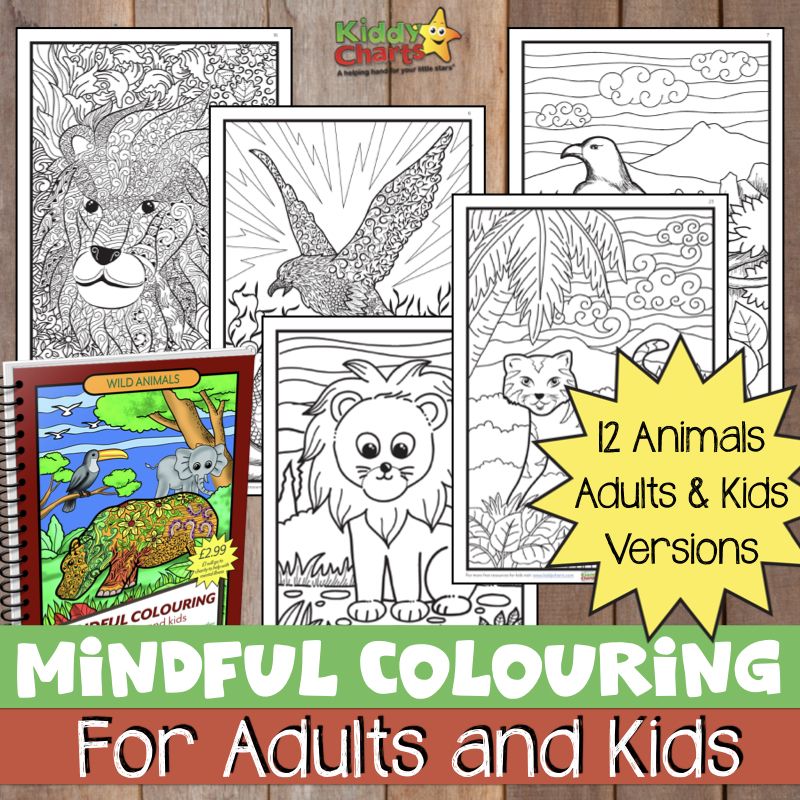 Finally, we have some lovely winter colouring pages too. Thanks so much for visiting, and we hope you like this content. If you do, we would love to have you back, so why not sign up to our newsletter?